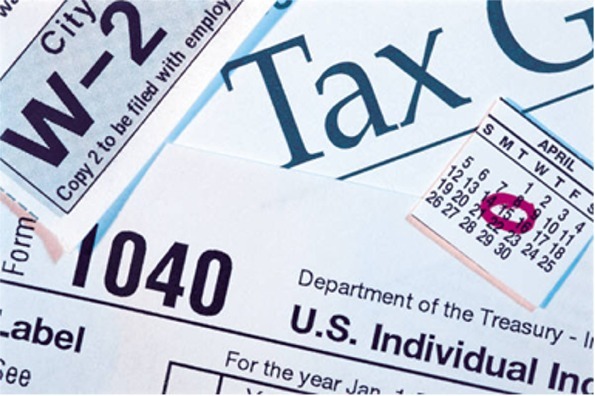 Income taxes are usually due on April 15th from all employed Americans. If April 15th falls on a Saturday or a Sunday, the due date is extended to the next non-holiday weekday. Note: In 2005, the municipality of Washington, D.C. enacted legislation making April 16 an official public holiday (Emancipation Day) in the District of Columbia. Since holidays in Washington, D.C. have a nationwide impact, taxpayers will have another extra day to file their taxes when the extended deadline falls on this District of Columbia holiday. A tradition for many Americans is to wait until midnight to mail their income tax returns. Income taxes have become such a common part of our lives, that it is hard to imagine that, at one time, there was no income tax in the U.S. When the country was young, it struggled to raise funds from the 13 original states – $15 million from each state in 1779 and more in following years. The government collected the first income tax during the Civil War, but only temporarily. President Grover Cleveland tried to start up regular yearly income taxes in 1894, but the Supreme Court ruled it unconstitutional. For supporters of the income tax, that meant amending the Constitution, which the government finally did in 1913 with the 16th Amendment. From that point on, Congress could legally collect taxes on incomes. Homer S. Cummings, Chairman of the Democratic National Committee during the administration of President Woodrow Wilson, counted the income tax as among the most notable accomplishments of the Democratic Party. The funds raised from it have been used for running many parts of the government. How much one pays depends on yearly earnings and certain deductions. U.S. Business Advisor - Website sponsored by the Small Business Administration (SBA). Find important links to Federal and state tax resources, tax forms, and assistance in complying with the tax code.